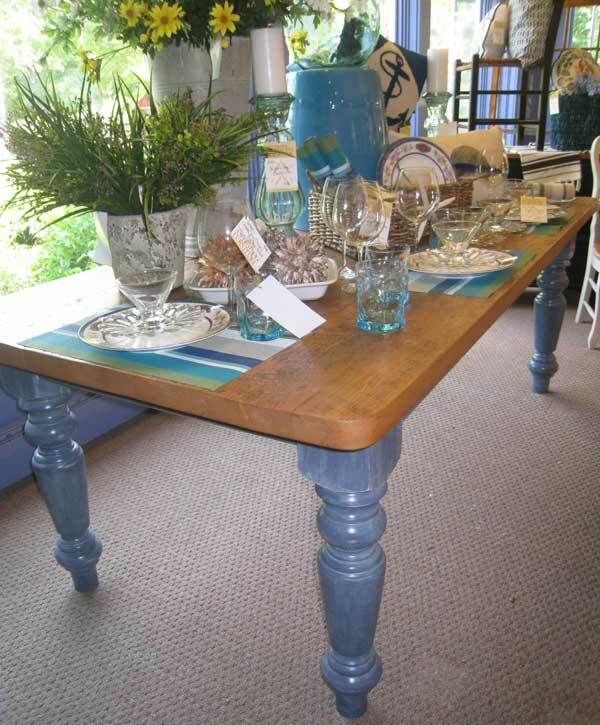 Ocean Blue is a milk paint finish. Ocean Blue is created by a base coat of Royal Blue and a top coat of white glaze. The glazing has the added effect of deepening the color and adding interest to the finish. 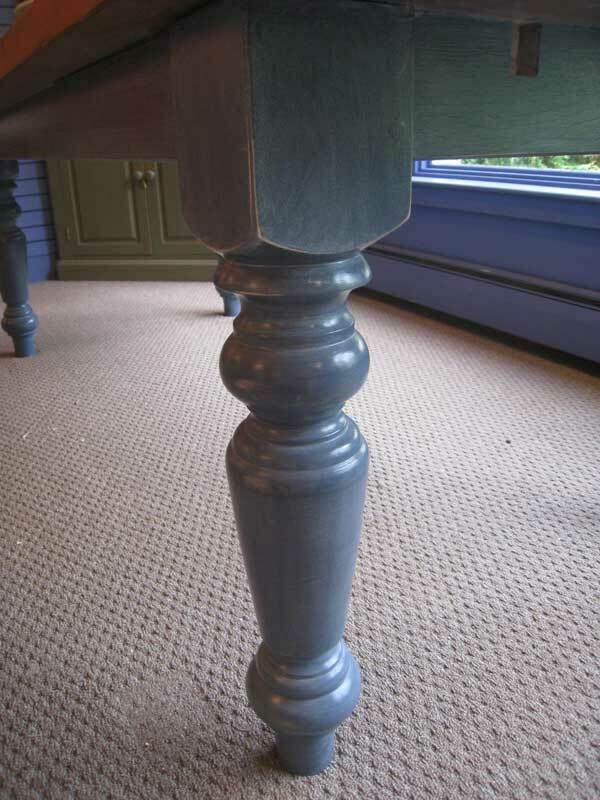 All paint finishes are rubbed to give the appearance of wear and age. The item shown is a Farm Table.